Surrey Hills PC performs a wide variety of Desktop PC repairs in and around Leatherhead. Listed below are just some of the repairs that can be carried out, at a fraction of the cost and far more quickly than quoted by stores like PC-World. 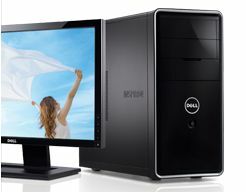 I have experience of repairing many models of Desktop PC including Dell, HP, Compaq, Acer and many others. The above is just a selection of repairs that can be carried out. Please contact me to discuss your particular requirement. Repairs normally take upto 7 working days depending on availability of spare parts. All repairs are carried out on my premises; your laptop will not be sent away to a third party. Included with any repair is a Spring clean valet service, clearing out any internal dust that could lead to over-heating as well as an external clean up.